Becoming a better sportsperson requires physical stamina, endurance, commitment, and patience. You need to think on your feet, work out strategies quickly and efficiently, and make decisions that will benefit you or your team. And sometimes the difference between winning and losing comes down to your attitude. It's time to unleash your natural sport potential - with help from hypnosis. 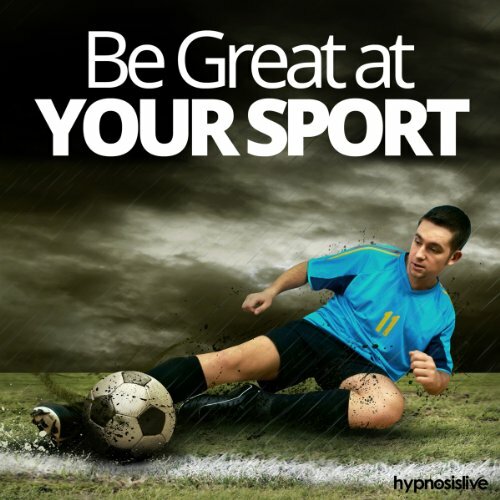 The Be Great at Your Sport hypnosis session will help you develop the mental edge needed to become a sporting legend! As you listen, the powerful hypnosis and NLP exercises will work to rewire your thinking patterns, helping you eliminate obstacles that stand in your way. You'll begin to crave training and find the desire to push yourself to new heights, digging deep within to uncover the energy and power to play with confidence and total determination. Master the sport of your choice! Download the Be Great at Your Sport hypnosis session now to discover the secrets to becoming a sporting superstar.